We're only a handful of games into Big Ten play, so it's hard to take the numbers at face value, at this point in the season. But it's not entirely a fool's errand—some of the numbers make sense, others just don't fit. Bullets! Wisconsin is the best team in the Big Ten, largely because of its offense. This comes as a surprise to exactly no one, but the Badgers are simply lighting up the rest of the conference to the tune of 1.21 PPP. Even that head-scratching loss at Rutgers was not an offensive issue (1.11 PPP)—at least not Wisconsin's offense. 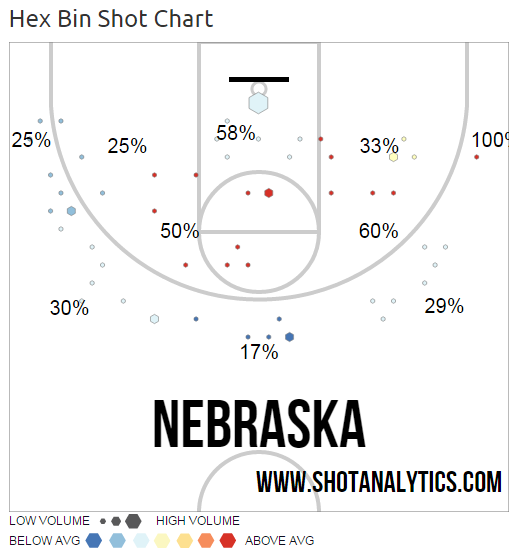 Rutgers, on the other hand, posted an eFG of 57.0 on mid-range and 3-point jumpers. But "shoot really well" has always been a great way to beat Wisconsin, so I don't think we learned very much. Purdue is going to live—or die—with its center play. While they don't take the court at the same time, Purdue's offense runs through either 7-0 junior A.J. Hammons or 7-2 freshman Isaac Haas. In an ideal world, Matt Painter would surround the center with sharpshooters that could bomb from the perimeter. Unfortunately, he only has one Kendall Stephens, who is shooting 39 percent on 3s in Big Ten play. Stephens' teammates are a mere 19 percent from deep. The offense is therefore played in a space roughly the width of an airplane cabin, with predictable outcomes (best offensive rebounding and highest turnover percentage in the conference). Illinois has not been watchable for nearly a decade. The last time the Illini's offense ranked better than 5th in offensive efficiency in the Big Ten, Dee Brown was the point guard. What's more is that it's not heading in the right direction. In John Groce's first year, they were 7th. Last year, they were the second-worst, behind a truly awful Northwestern offense that willfully eschewed possession of the basketball. So far this season, Illinois has the worst offense in the Big Ten. 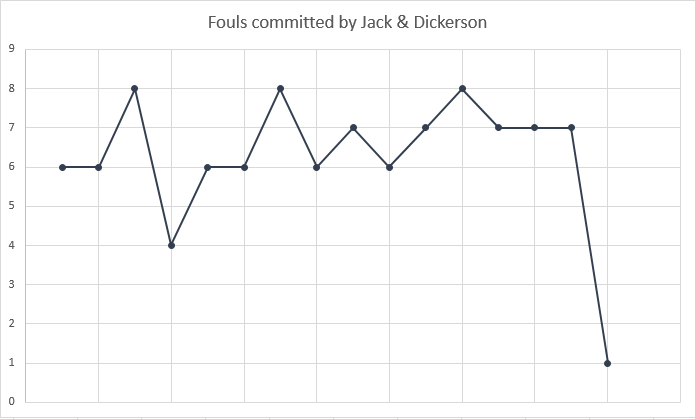 What's remarkable about that is the Illini are on pace to set records with their free throw accuracy—if only an appearances at the charity stripe weren't so infrequent (12th in free throw rate). Indiana's offense is going to get a lot better. The Hoosiers were always going to be a perimeter-oriented team this year, but conference play has not started off with a bang, as IU is connecting on just 24 percent of their 3s, and 23 percent of their mid-range shots. This is a team that connected on 42 percent of its 3s and 39 percent of its mid-range attempts in the non-conference slate. Expect this to straighten out, sooner rather than later. Conversely, this is Michigan's offense when it's shooting really well. The Wolverines have connected on 41 percent of their mid-range shots and 38 percent of their 3s. This would hardly be the first John Beilein squad that shot the ball well—last year's team had basically the same numbers—but this is probably something like peak shooting. And the team ranks 5th in offensive efficiency. I take that as a bad sign. That pressure defense still isn't working for Richard Pitino. Second in the conference in steal percentage, 10th in defensive efficiency because the team is mediocre to bad at everything else. It. Will. Not. Work. The Big Ten might have already figured out D'Angelo Russell. Per Shot Analytics, so far in Big Ten play, Russell has attempted 24 shots on the left side of the court, versus 14 shots on the right (not counted—shots at the rim, or middle 3s). He has a 46.0 eFG on his left-side shots, compared to 25.0 on the right. Thus, he's being pickier about his right-side shots, and still can't hit them. He'll either adjust, or see a lot of teams daring him to go right. It's probably worth mentioning that the outlier was also the only time Michigan hit 50 percent of its 2s against a power conference opponent this season. If he had any left, I'm sure Pat Chambers would be pulling his hair out.